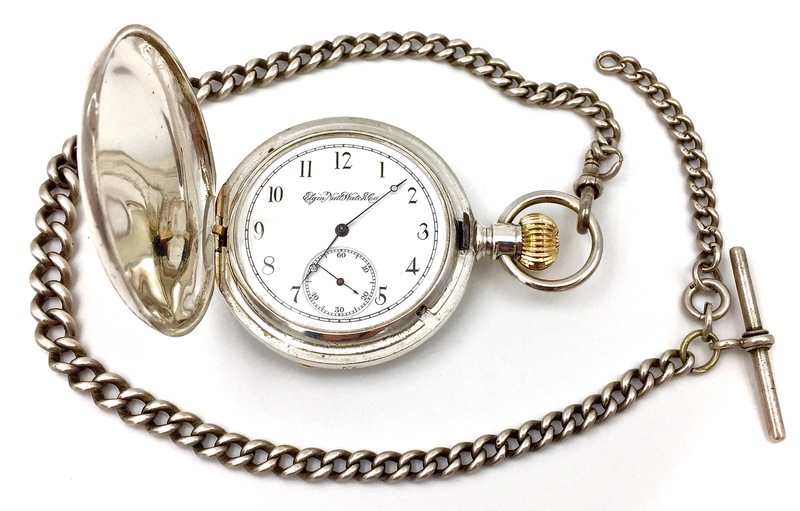 Sterling silver T-Bar pocket watch chain from the early 1900s. 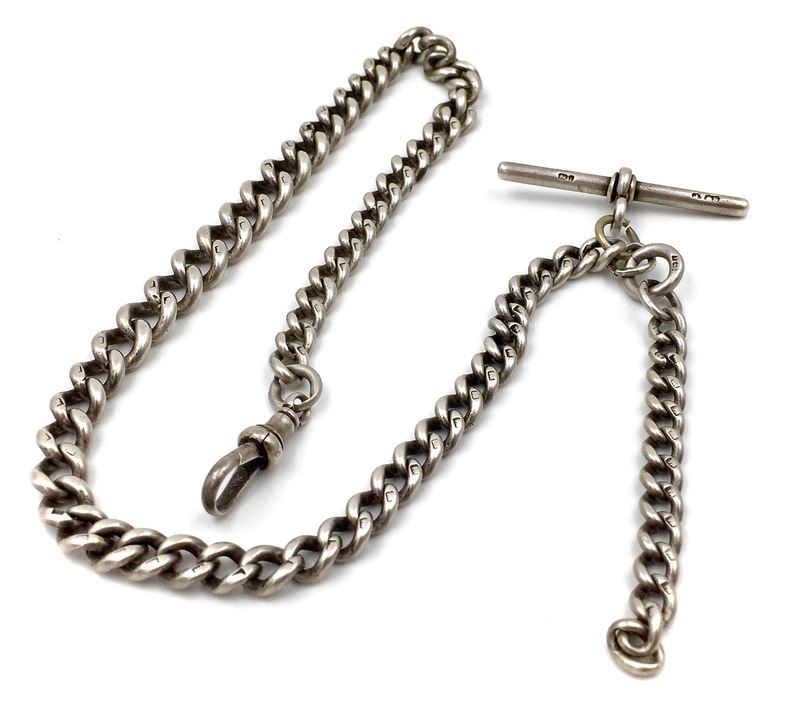 The chain links are individually hallmarked. 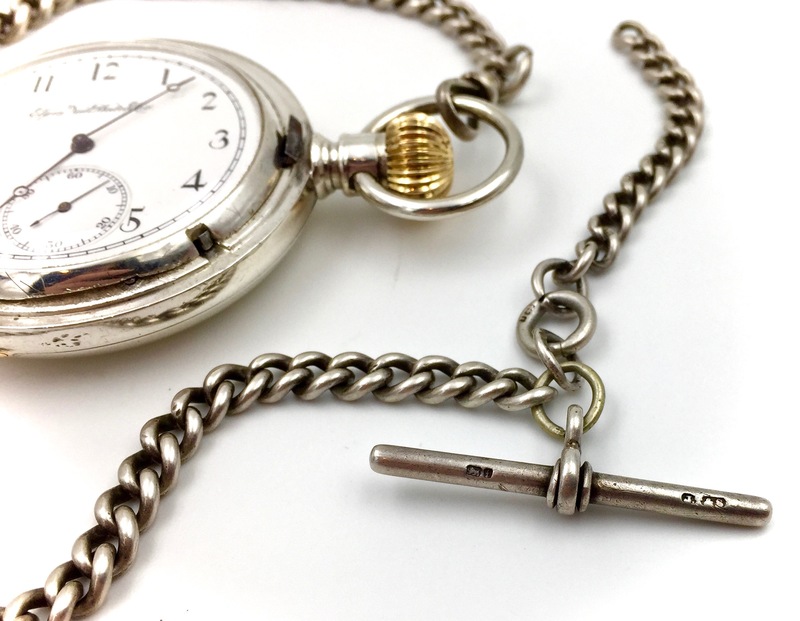 Ready for fob, or the fob chain can be easily removed. Perfect accent for a gentleman’s vest attire.